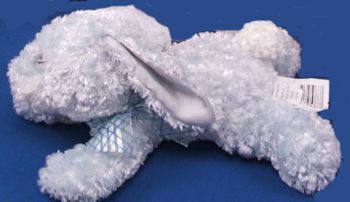 I’m looking for a chenille lying down lop eared Walmart blue rabbit with satin ears. He’s wearing a blue plaid organdy bow. 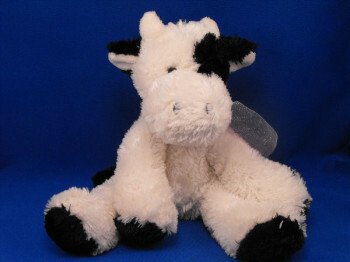 I’m looking for a large soft floppy Walmart lying down cream lamb. It had a big translucent blue bow with opaque stripes going along the ribbon. 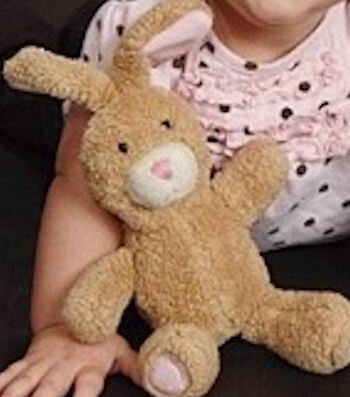 I’m looking for a 10 in 2011 Walmart Galerie tan rabbit with a white muzzle, pink nose, ears, and feet, and a purple ribbon, originally holding jelly beans. I’m looking for an Animal Adventure striped dog. 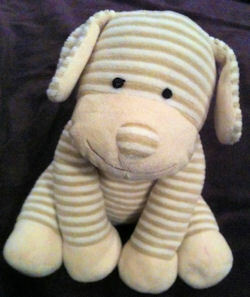 He is about 10 inches tall with cream and light brown stripes, a very soft corduroy/ribbed type material.